The course is 85% on gravel roads. The soil surface varies from packed and fast to loose and sandy. There will be several river and stream crossings which can be tricky. Water can be ankle high in spots. The first 3rd of the course is all climbing. There are two very steep (but short) climbs that you might expect to walk. The second 1/3 of the course is rolling to flat and the last 1/3 is mostly downhill. All bikes are allowed, hardtails are good, but you will be fastest on a purebred gravel bike. 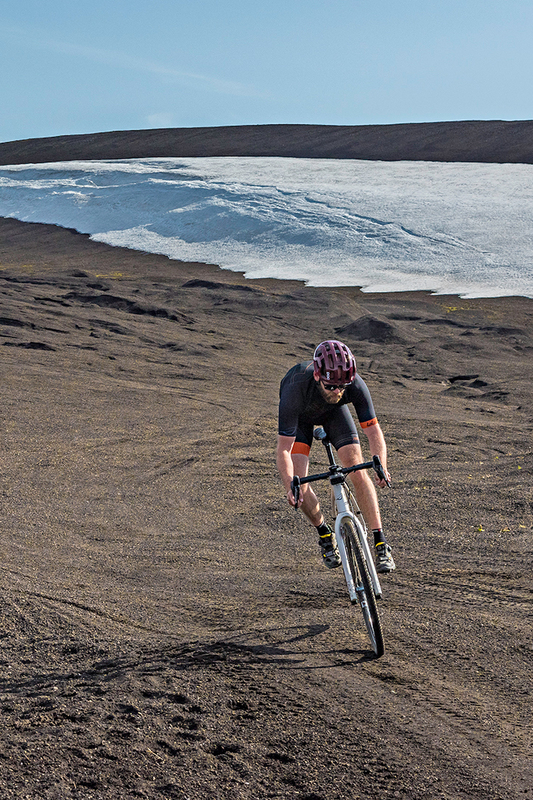 The Lauf True Grit was made for Icelandic gravel performance and is of course our favourite for the course. It's hard to say, it's Iceland and the weather is unpredictable. There could be strong winds, horizontal rain or sunny skies (i.e. bongó). There are water-crossings so your feet will get wet. The best remedy is wool sock - and perhaps extra wool socks. On a great day shorts and short sleeves are terrific but bringing a jacket is always wise as things can turn south in a matter of minutes. The average temperature in July is around 10°C / 50°F. Yes. The course will be will marked, however it's important also to load the route onto your cycling computer as we'll be riding where the roads do not have names. The GPX file will be released at least one months prior to race day. How are the aid stations? We urge you to bring the nutrition you normally use. That said, the aid stations will be stocked with fluids, gels and assorted food. Mechanical assistance will be at the aid stations but please make sure you have what you need in order to fix mechanical failures out on the course. Things like extra tubes, plugs, pump, hex keys, etc. How do I mingle with the locals? Most people speak English in Iceland, but it is good to know "Skál" (cheers) and "Þetta reddast" (it'll be fine). We recommend checking out this video to fully blend in - Jæja, já and jú.